Installation view of Yayoi Kusama Small Pumpkins. Courtesy Omer Tiroche Gallery. 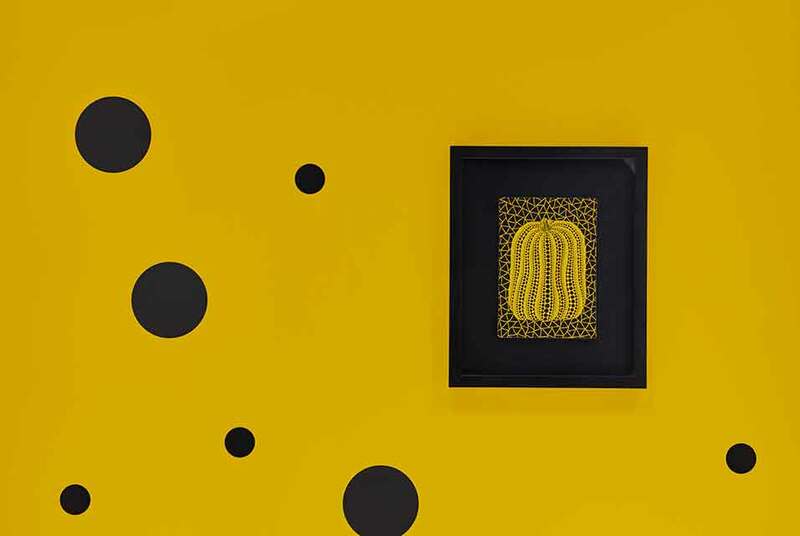 LONDON.- Omer Tiroche Gallery kicked off their 2018 programme with an exhibition dedicated to small- scale pumpkin paintings by Japanese artist Yayoi Kusama. This is the first time that this small body of work is being displayed together in the UK. Kusama experimented with her first pumpkin works in the 1940s while studying Nihonga  a traditional form of Japanese painting  at the Kyoto School of Arts and Crafts. Although she quickly left behind this delicate style in pursuit of the avant-garde, the pumpkin remained with her. She exhibited Mirror Room (Pumpkin) at the 1993 Venice Biennale and, from this point, her obsessive use of this motif intensified  the repetition being interpreted as an attempt to control her fears. One of Kusamas best loved and most iconic motifs, the pumpkins are the visual embodiment of her childhood as well as her present psychological state. She describes these paintings as a form of self-portraiture, magnifying mirrors in which to confront the spirit of the pumpkin, forgetting everything else and concentrating [her] mind entirely on the form before [her]. Whether dwarfish or gargantuan, Kusamas pumpkins are instantly recognisable. The flatness of infinity net backgrounds combined with the 3D optical illusion of the polka-dot patterns perfectly illustrate Kusamas conflicted world: the push and pull between desire and escape, simultaneously imprisoned by reality and locked out of it. Kusamas pumpkin image is that of the Japanese Kabocha squash, severed at the stalk. It continues to grow and ripen even though it is disconnected from the earth.